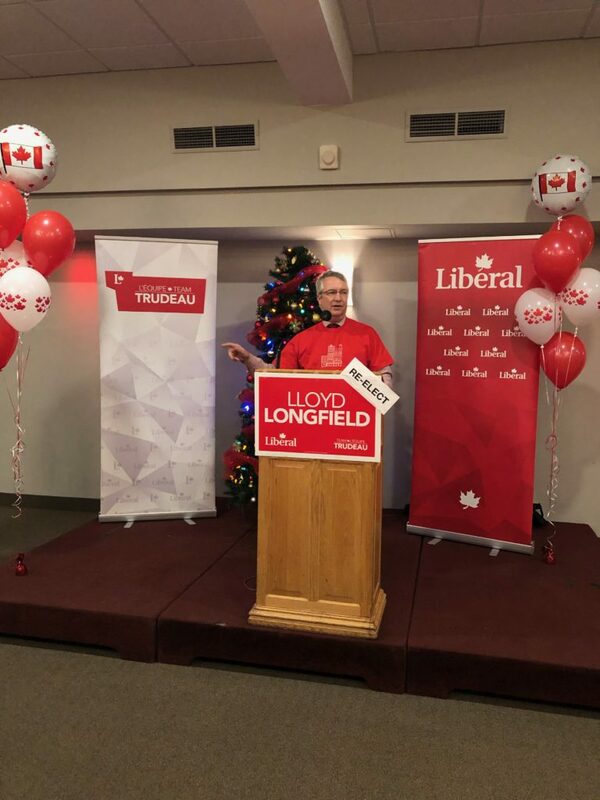 On November 15th, the Guelph Federal Liberal Association hosted the acclamation event for Guelph MP Lloyd Longfield where over one hundred local Liberals were in attendance, including Government House Leader, Waterloo MP Bardish Chagger. The Guelph Young Liberals’ membership was also there in support of Lloyd. Accepting the nomination, Longfield noted how far the Federal Government has come on economic, environmental, and foreign policy. The 2019 election campaign is shaping up to be an extremely important political moment for Canadians, with policies such as carbon pricing and the Canada child benefit both being at risk.